What do you do after 20 years of generating millions of dollars within the sales industry? If you're Steve Heroux, you channel everything you've learned into helping others achieve their own jaw-dropping results. Through his company, Victory Selling, Steve has worked with countless clients to reach their top-level benchmarks in record time. It all comes down to his special mix of knowing how training works, how sales work, and how to deliver. And he does it all without the usual salesy B.S. You may also recognize Steve from our 2018 video series, "Sales Success Tips With Steve Heroux." We also collaborated on a special eBook, "5 Tips For Small Business Sales Success." Steve is one of the most knowledgeable, open, and honest owners we know. We're so excited for you to take a peek into his process and journey in this month's Tenacity Tales. Steve created Victory Selling to teach others how to achieve their goals and dreams in the sales industry. My fear of people/public speaking. I was the shyest, quietist kid you’ve ever met...Head down in homeroom and always got “sick” when it was time for book reports in front of class. All through my adolescence, I had no dates, no dances, no prom! Ironically, today, I LOVE being able to share my message with thousands of people and I really enjoy being in front of people now. That if you work hard enough on something you’re deathly afraid of, it will become easy. I waited way too long to wait for something to change, instead of just making it change. We all have the power to get great at something, even if it’s our biggest fear. It just takes tenacity, a willingness to make mistakes, and time. Steve displaying an impressive catch while out on the water. Learn how to sell. Period. I don’t care what business you’re in, what product you sell, or what service you offer, if you don’t know how to sell properly, what exactly are you relying on to become successful? Hope, prayers, wishes? It takes skills if you want to be successful in sales or business and you’ve got to learn them from someone who’s already great and has proven success in your field or industry. 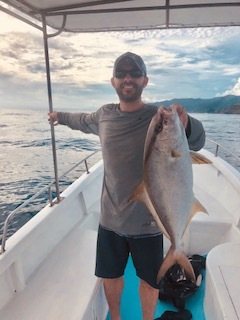 Considering my recent move to Costa Rica, I fish every morning. 6am–9am I’m on my kayak enjoying nature and being on the water. I usually come back, eat breakfast, and then plan out my day. I have a killer morning routine that I’ve learned from several mentors and really gets my day going. I may have a training/coaching client, be working on content, or setting up my next visit to the States (I try to work 7-10 days a month in the U.S.). At the end of the day, I watch the sunset in peace and end the day fully fulfilled. Then it’s time for dinner, usually what I caught that morning, and finish up with some personal growth (reading, writing, etc.). 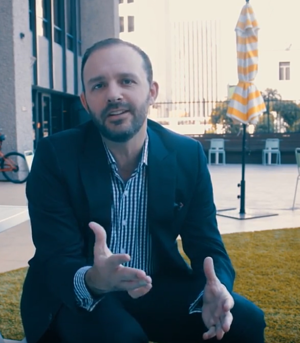 A clip from our 2018 video series, "Sales Success Tips with Steve Heroux." What’s next for you and Victory Selling? Don’t know! I really just want to keep impacting as many lives as humanly possible. I’ve just completed my first online course, “The Sales Cookbook” and that’s something I’m really excited about. The misnomer/perception in sales is that in order to be successful, you have to be rude, pushy, or obnoxious. You need to be a “closer.” That’s complete BS. You can be super successful in sales and business through honesty, integrity, and humility. Want more from Steve and Victory Selling? Check out his new online course, The Sales Cookbook! Connect and work with Steve directly to boost your business's sales. Follow Steve on Instagram and LinkedIn.